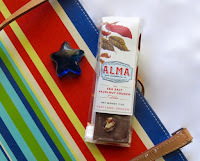 Alma Chocolate with Jacobsen Salt Co. Welcome to Day #2 of Chocolate and Hazelnut Theme Week. And Happy 4th of July to all who celebrate Independence Day. 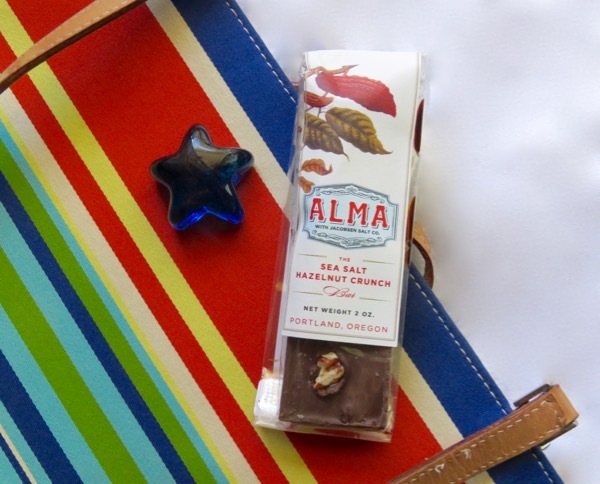 The Sea Salt Hazelnut Crunch Bar was made by Alma Chocolate (Portland, OR) with Jacobsen Salt Company (with tasting rooms in Portland, OR and Tillamook, OR). 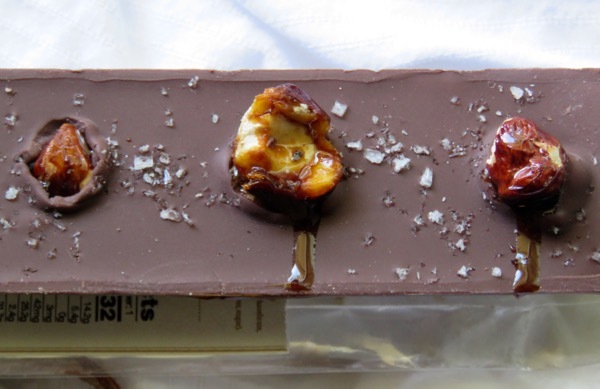 This bar was filled with a blend of Woodblock Chocolate (Portland, OR) (cocoa solids, sugar); hazelnuts; sugar; and Jacobsen's sea salt. The bar was covered with (Dominican) chocolate with protruding hunks of hazelnut and a sprinkle of sea salt. The bar had a light, pleasing chocolate aroma, and was compact, complex and flavorful. 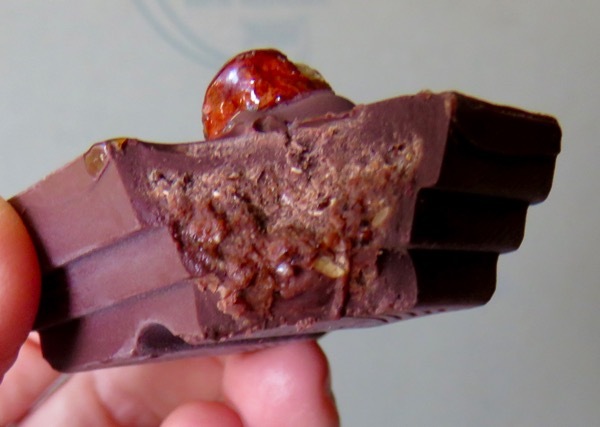 Instead of an overly sweet, nougat hazelnut center I half expected to encounter, the dense, rich crunchy center was bursting with dark cacao flavor complexity. A bonus for dark chocolate bean-to-bar fans.